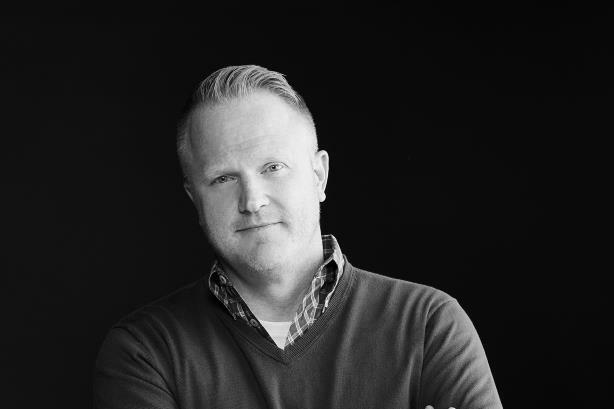 The practice is led by Corey Martin, a veteran of Allison+Partners and Edelman. NEW YORK: Dentsu digital shop 360i has launched a PR division. Led by Corey Martin, 360i’s PR team has been in development for the past year. The practice has a headcount of 16, with half dedicated to PR and the other half to influencer marketing. All 16 staffers have a communications background. The division’s services include media relations and press outreach; materials development and writing; influencer relations, advocacy, and execution; event management and publicity; share of voice analysis; and corporate and brand reputation, according to a statement from the firm. Martin highlighted two key staffers: Kateri Benjamin, associate director of influencer marketing and PR, and Scott Slattery, VP of influencer marketing and PR. Martin said 360i is attracting talent from the top five PR agencies and that he expects to double the practice’s client roster over the next year. "Earned comms has always been a significant part of the marketing mix at this agency, but [management] wanted to go a step further and make it real for our clients, because more and more, clients have been asking for a fully integrated offering," Martin said. Martin, who joined 360i in 2016 to lead its influencer marketing division and previously was a consumer MD at Allison+Partners and Unilever account lead at Edelman in the U.S., cited 360i’s work for Oreo during Super Bowl XLVII. In the renowned activation, the agency reassured social media users that they could still "dunk in the dark" despite the lights going out during the big game. "That created a passion to make sure our work has earned resonance," Martin said. "Even before that, 360i has been doing blogger relations as a means to drive search results. They’d been doing influencer marketing before it was even a thing, basically tapping bloggers to produce content that was powerful and would increase search results." While in stealth mode, Martin’s team developed proof points, created a media relations team by hiring PR pros, and landed significant accounts. Shoe retailer DSW expanded 360i’s work, originally a media account, to include influencer marketing and PR. The New Orleans Tourism Marketing Corporation also hired 360i as its PR AOR to promote its 300th anniversary as part of an integrated account that also includes rebranding and marketing. "We don’t look at PR in isolation," said Raig Adolfo, 360i’s chief strategy officer, who joined the company mid-2018 from FCB. "We look at it holistically as part of the bigger thing, so the collaboration and co-creation starts from the onset."